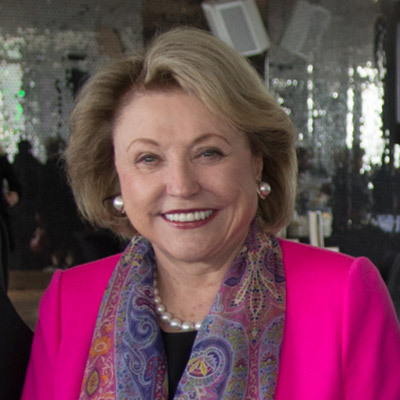 Barbara Taylor Bradford, OBE is one of the world’s best loved storytellers. Her 1979 debut novel, A Woman of Substance, ranks as one of the top-ten bestselling books of all-time, with more than 32 million copies in print. All 28 of her novels to date have been major worldwide bestsellers. Her 29th book, CAVENDON HALL, will be published in the US on April 1st by St. Martin’s Press. Bradford was born in Leeds, West Yorkshire (UK) as the only child of Freda and Winston Taylor. She grew up in the Leeds suburb of Upper Armley, and after Town Street Church of England School worked in the typing pool at the Yorkshire Evening Post before going into journalism. By the age of twenty she was the fashion editor of Woman’s Own Magazine and an editor and columnist on Fleet Street for the London Evening News. Bradford’s books have sold more than eighty-eight (88) million copies worldwide in more than ninety (90) countries and forty (40) languages. Ten (10) of her books have been made into miniseries and television movies. In April of 2003, Mrs. Bradford was inducted into the Writers Hall of Fame of America. She was awarded an OBE by Queen Elizabeth II in the Queen’s 2007 Birthday Honours list for her contributions to literature. Her original manuscripts are archived at the Brotherton Library at Leeds University, alongside the works of the Bronte sisters. She lives in New York City with her husband, of 49 years, television producer Robert Bradford. Her official website is: www.BarbaraTaylorBradford.com.